Living a Fit and Full Life: Enjoy Bedtime with Good Night Tales: A Family Treasury of Read-Aloud Stories by C. S. Fritz! 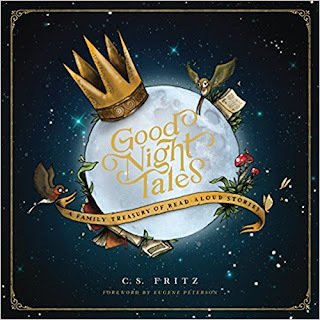 Enjoy Bedtime with Good Night Tales: A Family Treasury of Read-Aloud Stories by C. S. Fritz! Enjoy bedtime with Good Night Tales: A Family Treasury of Read-Aloud Stories by C. S. Fritz! One of my families closest times together is bedtime because we always take time as a family to read bedtime stories and laugh and snuggle together. Good Night Tales leads your children through a vivid, beautiful, and imaginative adventure through Scriptural truths and is the perfect way to end the day. The illustrations are absolutely beautiful and my kids adore the stories throughout. Good Night Tales has quickly become one of their favorite bedtime books and makes a great way for families to bond together at bedtime. 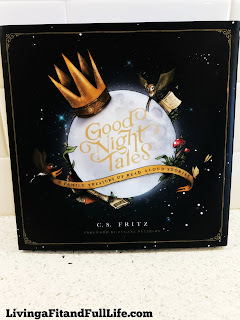 Good Night Tales: A Family Treasury of Read-Aloud Stories by C. S. Fritz is an amazing book that my family and I absolutely love! 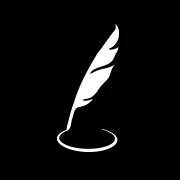 You can find Good Night Tales: A Family Treasury of Read-Aloud Stories by C. S. Fritz on Amazon, Barnes and Noble and other bookstores.